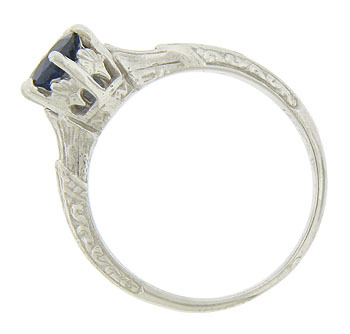 Intricate abstract organic engraving decorates the surface of this 14K white gold engagement ring. 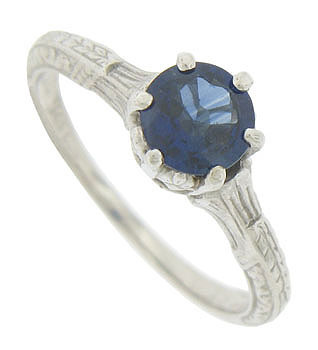 A spectacular .87 carat, round cut sapphire is set into the face of the antique style ring. 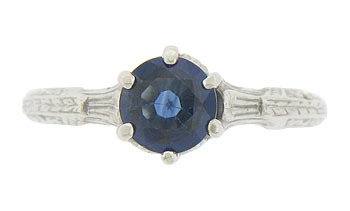 The ring measures 7.16 mm in width. Size 6. We can re-size.